The winds of good fortune are soon to follow after you give this elegantly Engraved Irish Keepsake to your family & friends. A beautiful family keepsake sure to bring love & happiness to the family. This keepsake may be engraved with any family name. Very, very nice and the inscriptions were done beautifully. The recipients all loved them. One of a kind...it was a great item. I am a pastor of a catholic church and this gives me an opportunity to give gifts that are very personal. 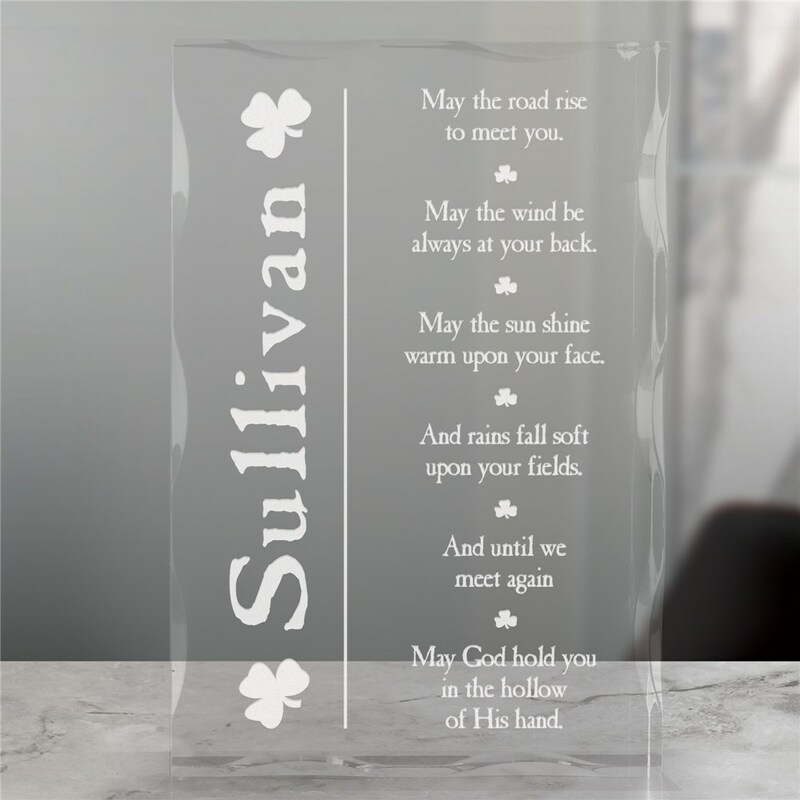 Additional Details Our personalized Irish gifts are great year round - take a look and find something special today! Personalized gifts show you care enough to add a special touch, and GiftsForYouNow makes it easy for you to shop online.